Instagram is a powerful tool to build brand awareness, generate website traffic and increase sales to an engaged audience. By harnessing the power of images and creativity, brands are connecting and resonating with target audiences in completely new ways. Join us as we discover how to leverage hashtags, deliver creative captions and choose the best filters to tell your story. [VENUE PRIZE] 1 x $100 dining voucher for the restaurant/bar, courtesy of The Lord Alfred. [BEST SOCIAL POST] Share your best photo on Instagram and tag #thelordalfred and #nxbris for a chance to win a 2 x Tickets to Melbourne Cup at The Lord Alfred, 12pm Tuesday 6 November. Winner to be announced at the end of the night! The Lord Alfred boasts numerous bars, unique private function spaces, a glass-encased brasserie, underground cellars and large top level verandah bar looking over Suncorp Stadium and Caxton Street. Whether it be a knock off drink after work, Saturday brunch, live music performances or booking your next private function, we are sure there is a space, a menu and a beverage that you will enjoy at The Lord Alfred. 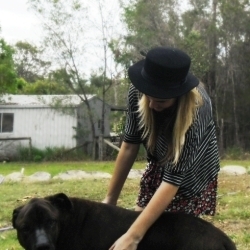 Ash Daniec is the creator and director of SoBa, Brisbane's leading boutique mind + body studios. SoBa was created three years ago offering barre, pilates, yoga, stretch and mindfulness at two locations west end + new farm. Ash was a dancer from a bub to her late teens, breathing in the studio culture. Her first professional passion was for events, marketing & pr but after travelling overseas and wanting to make more of a positive impact on her community, Ash ditched her public relations + marketing daily routine and decided to follow her gut, creating a space to inspire + bring like minded people together - to find + strengthen their purpose through movement + stillness. When Ash is not in the studios, she loves brainstorming with other creative minds over a coffee, hiking in the hinterlands or swimming in the ocean. 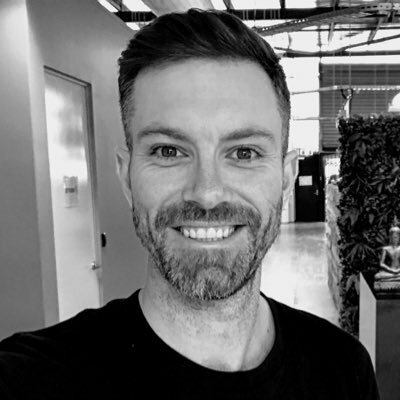 As a Creative Director, Kory McAvoy has worked at Queensland’s top agencies on some of the state’s biggest accounts over the last 15 years. Now she heads up Brisbane Advertising Agency Engine Group’s creative department where she has been instrumental in shaping the agency’s position in the world as a creator’s of positive change. Some of her most recent and acclaimed campaigns are for MS Queensland, RSPCA, UNHCR (United Nations Refugee Agency) and the University of New England and are a showcase for the compassion and craft that typifies her work. Not only is Kory one of Brisbane’s most sought-after and highly-awarded art directors for her craft, her storytelling skills have also won her a multitude of creative and effectiveness awards – including an Australian Effie, three AMI Queensland awards, gold and silver W3 awards and over 70 BADC awards. Her strong sense of humanity and compassion for people and the world around her comes through in all aspects of her life. When she is not helping brands find their voice, she also teaches yoga and meditation at The Academy of Grounding – a wellbeing centre she co-founded with her partner. It’s another example of creating positive change in the world starting from the roots up. Nathan Biddle studied a Bachelor of Design and Communication at the University of the Sunshine Coast, where he majored in Graphic Design and Minored in Creative Advertising whilst also learning Journalism and Social Media. He found a passion in social platforms, monitoring, measurement and creative content production. He completed an internship with Australia University Sport (Now UniSport) as a Graphic Designer. It was while working at Snowcentral (Snow sports Retail) in Graphic Design and Social Media Production, he changed the advertising framework of the business to digital, increasing sales for one month by $80,000. 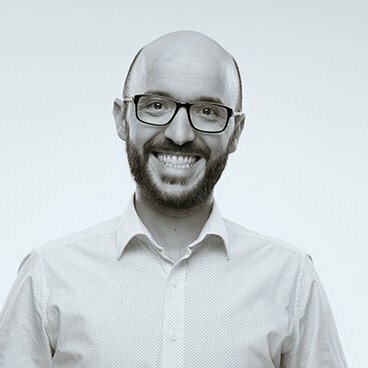 He is currently the Multimedia Designer and Producer at the Brisbane Broncos, driving content for the NRL and NRLW teams for one of the largest fans and members databases in Australian sporting teams. Elizabeth Gibbons is the Director of Client Services at Zeroseven and is passionate about working with businesses and possesses an ideal combination of technical and creative skills as a result of her strong educational background in business and music as well as extensive digital industry experience. Elizabeth possesses an excellent knowledge in the digital realm and has extensive expertise in establishing eCommerce solutions and websites that drive online sales. She uses her combination of technical skills and marketing know-how to assist clients to develop communication and promotional strategies to maximise their online presence.